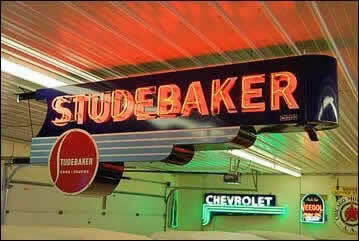 Widmayer Studebaker sales and service entrances beneath the enormous electric sign. 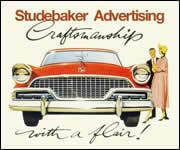 An outdoor Studebaker sign mounted on a vertical support. 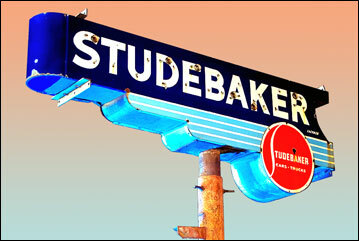 A neon sign similar to the one that hung over the door to the Studebaker Engineering Department.